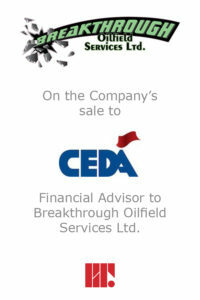 Redcap&Truss acted as exclusive financial advisor to the ownership of Breakthrough Oilfield Services Ltd. (“Breakthrough”) on its sale to CEDA. 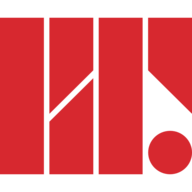 Breakthrough Oilfield Services, based in Dawson Creek, British Columbia, owns and operates a fleet of pressure trucks, hot oilers, fluid haulers, tank trucks, hydro vacuum and combination vacuum units. The team at Breakthrough Oilfield Services is dedicated to providing world-class client based solutions. Breakthrough had previous discussions with CEDA and were interested in pursuing a one party negotiation. With approximately 2,000 employees, CEDA is a leading industrial services company providing maintenance, turnaround, construction and project services to clients in the oil & gas, pipeline, power, pulp & paper, chemical, mining, municipal and steel markets for over 44 years. CEDA has offices throughout North America, and delivers more than 120 distinct services to support critical operations at its clients’ facilities. CEDA is committed to delivering world-class solutions through innovative technologies, equipment and processes, always with safety top of mind. “I didn’t want to shop around and knew I wanted to sell my business to CEDA. However, I wanted to make sure I was getting a fair deal, not only on the sale of my equipment, but also as it related to my future employment. Redcap&Truss walked me through what a fair deal would look like and negotiated all the key deal terms that worked for both CEDA and I. The guys were always available for a late-night chat and were patient with any questions I had throughout the process.” – Derek Loomis, majority shareholder of Breakthrough Oilfield Services Ltd.